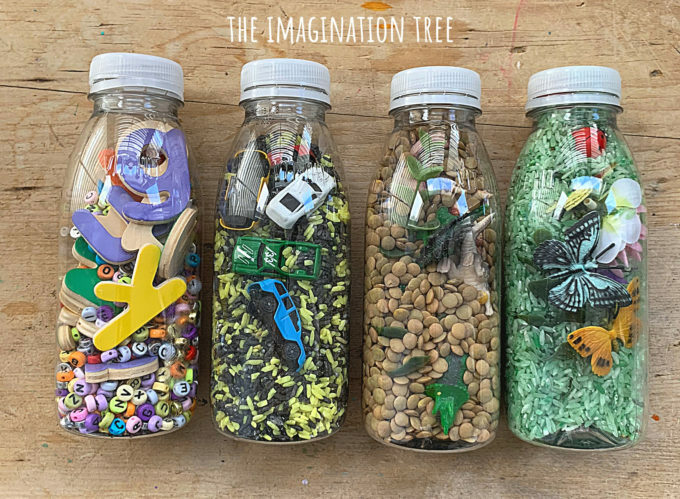 Make some amazing DIY I-Spy Bottles for early learning games on the go with kids! 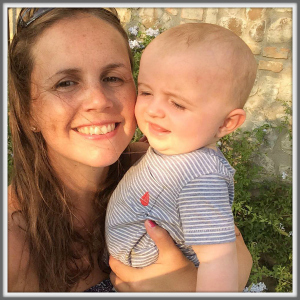 Brilliant for toddlers to school age and easy to adapt to different themes or to match learning objectives. 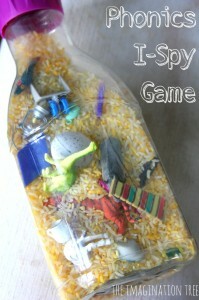 I-Spy or discovery bottles are so easy to make and are brilliant for travel activities. 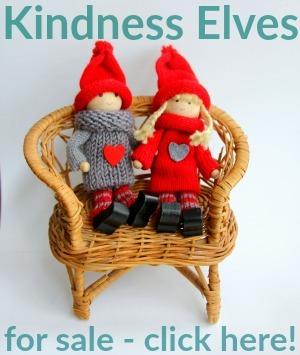 I love that they are made using items from the recycling and little extras from the kids’ toy boxes. Once you’ve started making them you’ll be addicted to them as they’re so easy. Make an entire collection of different themes and learning possibilities! 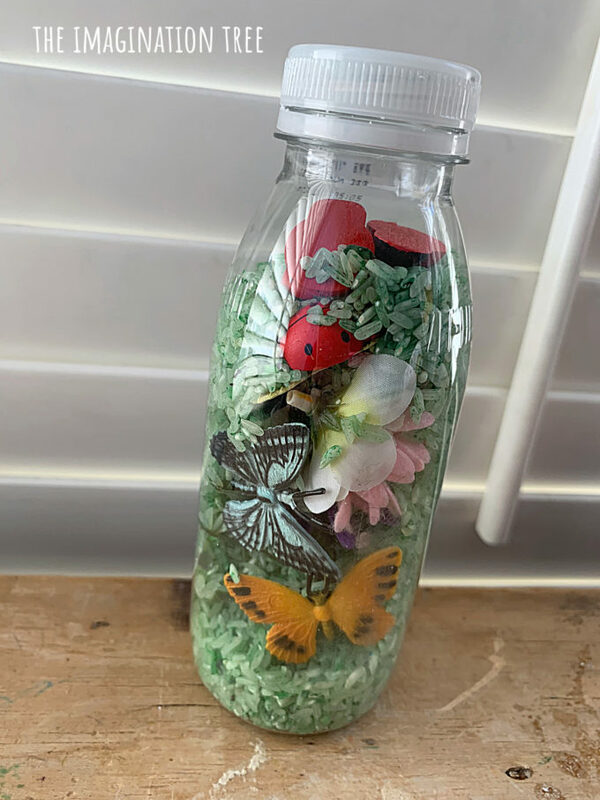 I’ve made variations of these since the older kids were toddlers, such as these BABY DISCOVERY BOTTLES for first exploration and this fab PHONICS I-SPY BOTTLE for when they begin to identify objects by sound. 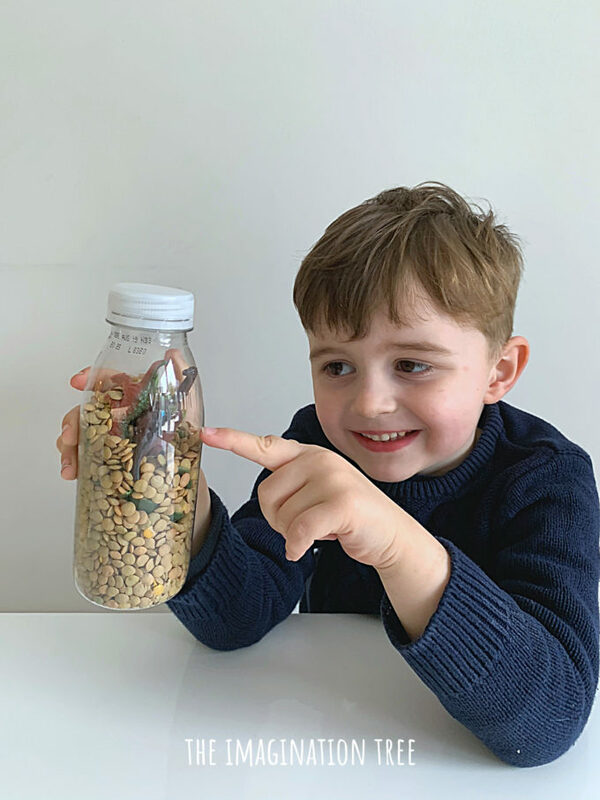 This OCEAN WAVES DISCOVERY BOTTLE was also gorgeous for a seaside theme investigation! My big kids LOVED this SPIDER WEB BOTTLE too! Watch the how-to video here. And please subscribe to my brand new YouTube channel too! 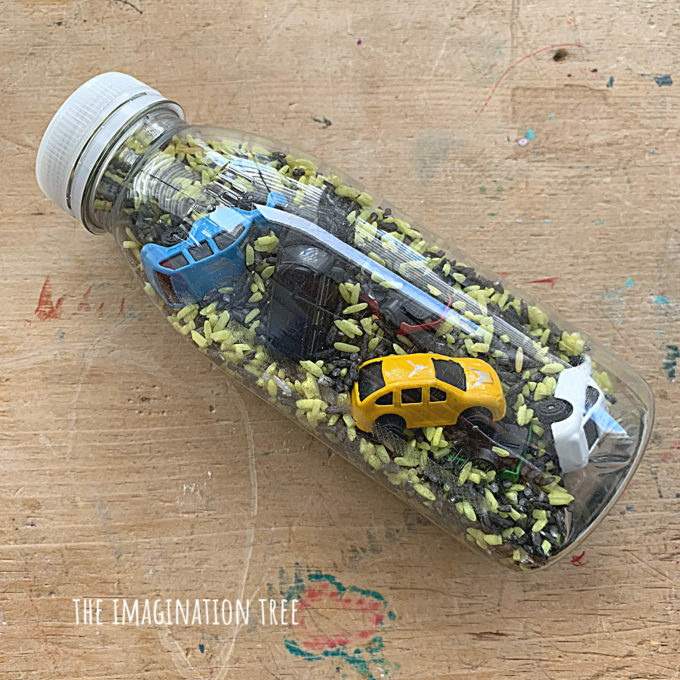 To make this I Spy bottle add a filler material of mixed yellow and black dyed rice to a plastic bottle until it is just over 3/4 full. 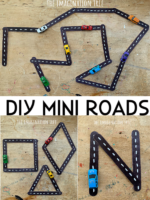 Now drop in some mini cars, seal the bottle and play! Ask: How many cars are there? Can you find the blue/red/green car? Add the blue cars to the red cars! Tell a story about the cars and where their drivers might be going to. Add green dyed rice to a plastic bottle until it is 3/4 way full. Now add fabric flowers, mini ladybirds and small toy butterflies. Seal shut and play! 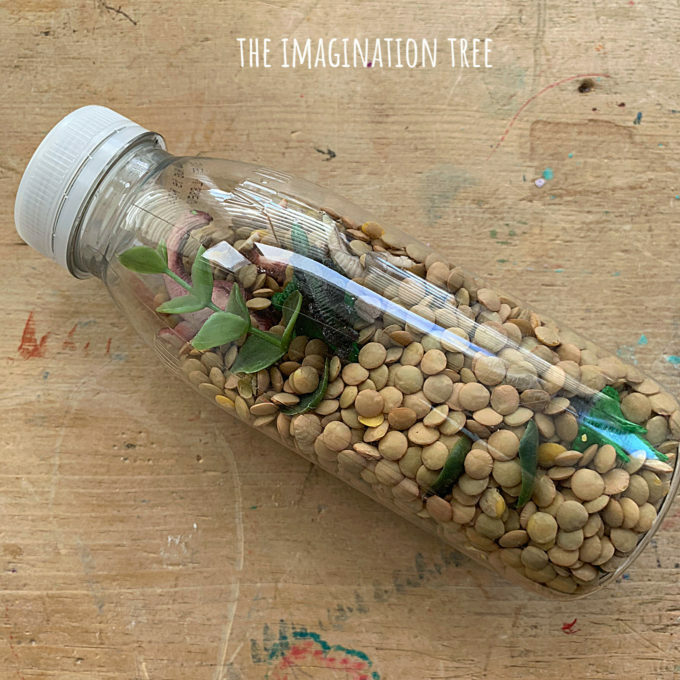 Fill a plastic bottle just over 3/4 way with lentils. Drop in some pretend plants (cut some small stems from larger fake plants if needed) and some miniature dinosaur toys. Seal shut and play! Ask: How many dinosaurs can you find hiding? Are there more green or brown dinosaurs? Where is Triceratops? Do you know the name of this dinosaur? What do you think these dinosaurs are going to do today? Tell a story together. 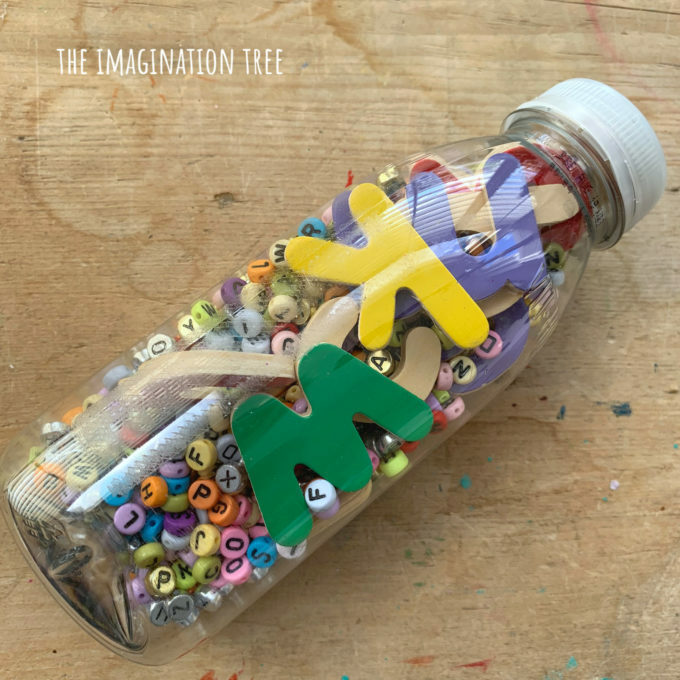 Fill a plastic bottle 3/4 way full with small alphabet beads. Now drop in as many letters as you can fit so that they can still tumble around and be seen easily. Seal shut and play! Ask: Can you found the letter that makes the sound Ssssssssss? What colour is it? Is there only one of those or more? Find another one! Can you find all of the letters from your name? (for small children, make sure all of the letters of their name are included as these are the best place to start when learning.) Which letters do we need to make the word C A T? Etc. 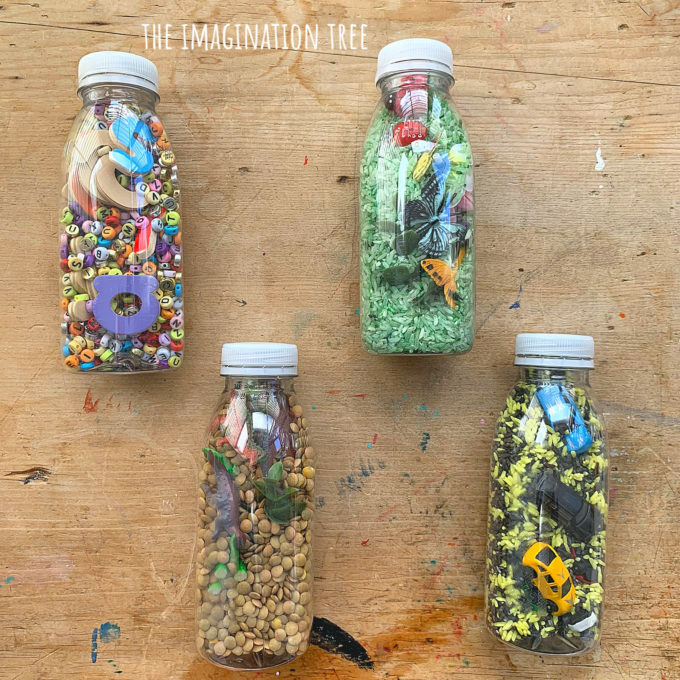 Once you’ve made this starter set, think what other special interests your child has and make some more themed I-Spy bottles based on those. Fairies, diggers, numbers, shapes, ocean, space, dragons, lego, black and white are all GREAT themes to try next! 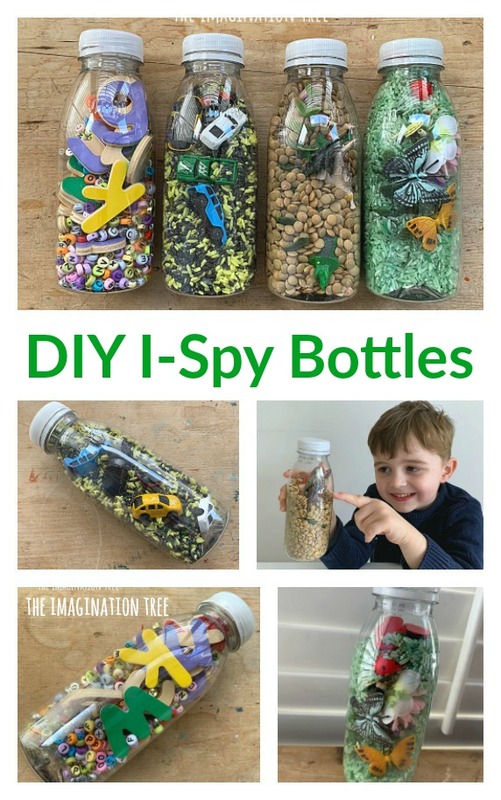 These DIY I-Spy Bottles are fabulous travel toys as you can pop them in your bag and bring them out to keep kids entertained on long journeys or in waiting rooms. 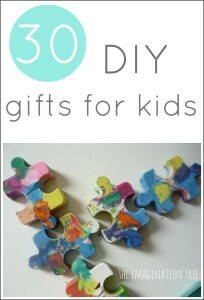 They also make great DIY gift ideas for small kids. OR get your older children to make them up for younger siblings or cousins as a fun challenge that they’ll love doing! 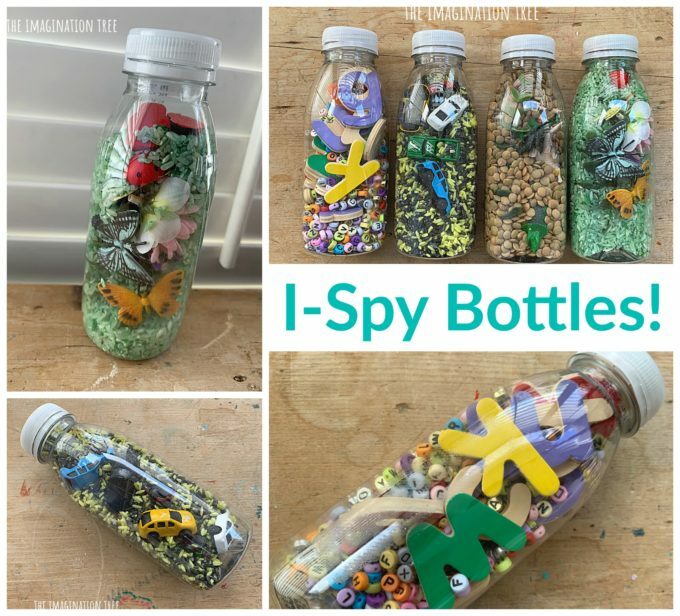 Did you love these DIY I-Spy Bottles? Please do share if so! I also LOVE to read your comments here. 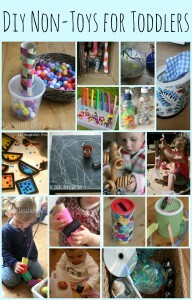 You might also enjoy our archive full of other easy DIY TOY IDEAS!